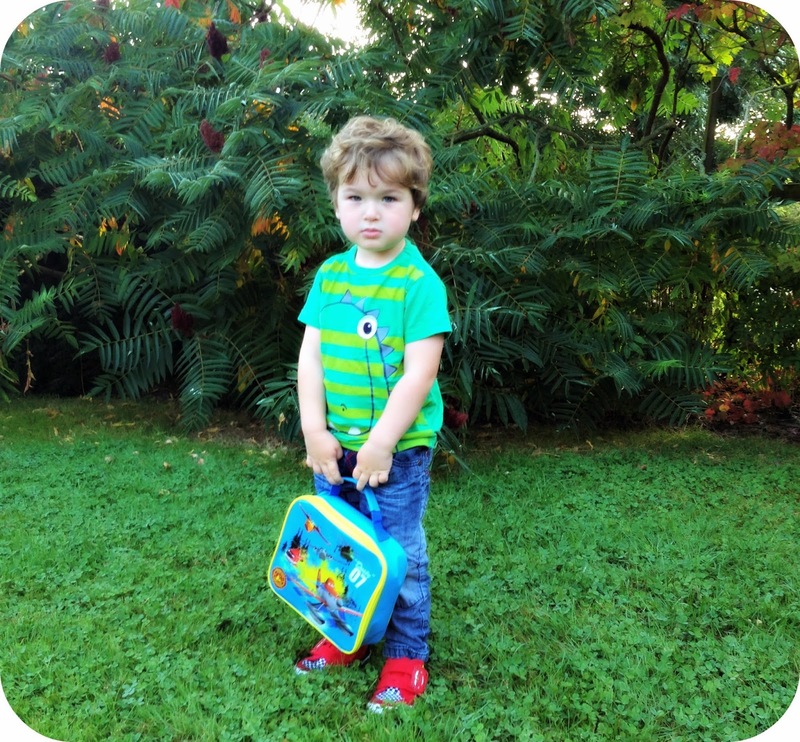 On the 5th September Leo went back to play school for his very first funded session. In the weeks of Summer that quickly passed us by, Leo seemed to blossom before our very eyes. He began to string more and more sentences together, and he made such an effort to use his words. We used to Summer as a spring board and got out and about to really make the most of the weather and each other’s company. I had a feeling that the nursery would also see a huge improvement in just how far Leo had come over the Summer holidays, and I hoped that I wasn't alone in these thoughts. With Leo’s funding now in place for his final pre-school year before starting reception next year, I prepared his school bag the same way I always did. I packed a spare change of clothes, some fruit and his juice cup. I woke Leo up from his slumber and a very excited child replaced the sleeping child who had been fast asleep only moments before. Leo was so excited to be going back to nursery again and when I dropped him off on the Friday for his first session, he didn't even say goodbye before he ran off to join his class mates. When the time came to pick Leo up from school, I arrived and peeked in through the window. The entire class was sat together on the carpet talking, and when I got to the front of the line, they called for Leo to come over ready to go home. The nursery leaders each had some incredibly positive remarks about how they had found Leo’s first day back at school. One said ‘Hasn't he grown up over the Summer! ?’ another said ‘I have noticed a huge improvement in his speech!’ and another said ‘I am understanding so much more of what he says!’. I was so pleased, Leo has been taking his time but been improving all the time, and now I feel like we are finally bridging the gap that has stopped him getting his point of view across. 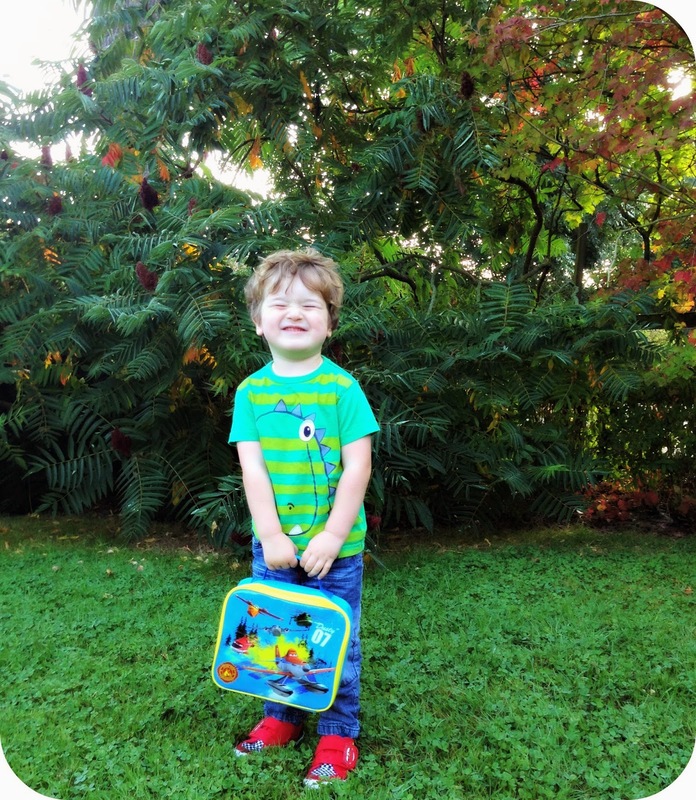 Wednesday 10th September marked Leo’s very first full day at nursery, we prepared Leo’s school bag and even made up his lunch box ready for that very first session. Leo was even more excited at the prospect of taking lunch along with him, that once he had his Planes Lunch box in hand he insisted on having his Ham and Cheese Sandwich for breakfast. So to save his lunch we had to make him up a second sandwich that he could enjoy at that precise moment in time. Granny dropped Leo off for a 9am start, and then that was the last we saw of Leo until 3pm that same day. It is the longest Leo has ever been out of our care and it was a surreal moment to arrive home from work for lunch, to not have Leo at home. Leo had gone off as happy as always and found his name badge out of all of the other names and proudly stuck it on his hook. Leo then spent the day at nursery for the very first time. Leo has come on so much since that very first nursery session back in January, he is more confident and willing to give new things a try. 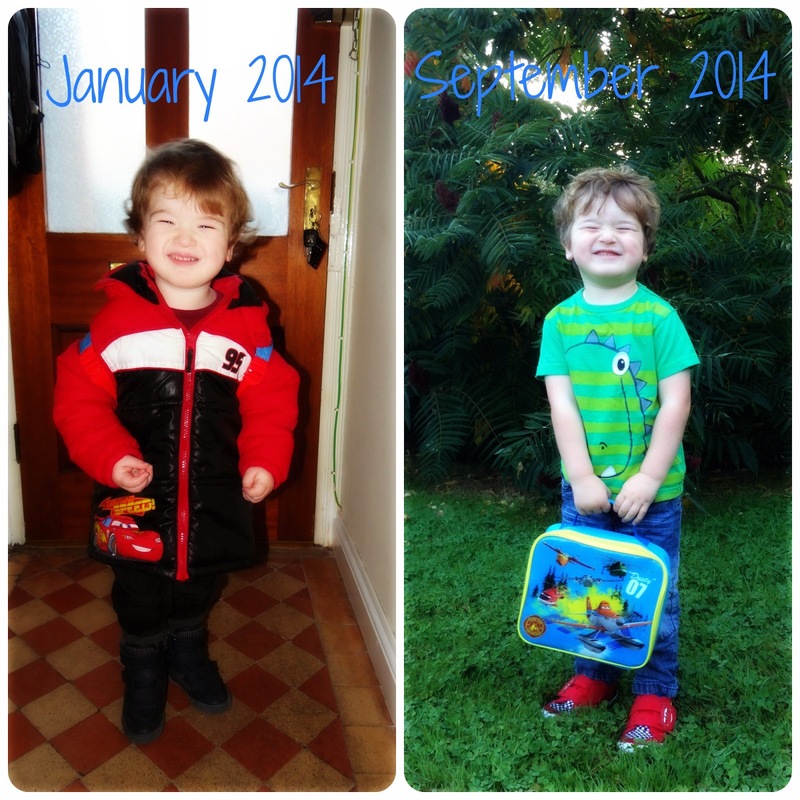 I find it incredibly hard to believe that this time next year, my baby boy will be in reception and 4 years old. Time really has got a wicked sense of humor to say the least, but it is not relenting. Time is speeding by and shaping my little man as it goes, each day he does something new and surprises me in a whole new way. I am so pleased at how well Leo has just slipped back into nursery life, and just accepted that now he is older he gets to go more. I have put Leo into nursery on a Monday, Tuesday morning. He attends Wednesday all day and then has Thursday off to spend an entire day doing things with me, and then goes back in refreshed for Friday’s afternoon session. I wanted Leo to do one full day so that when he does begin reception next year it won’t be such a shock to the system. I now that as this year progresses he is going to continue to grow up, and when next September does roll around, he will be more than ready to take on big school with all of his peers. It sounds like Leo is doing really well, Dylan loves his preschool and does two full days which is strange for me, but he gets so excited about eating lunch with his friends!